Many years have passed since the famous environmental manifesto “50 Things that children can do to save the Earth” was published by the Earthworks Group. With more than 5 million copies sold, it became a benchmark, showing the wave of concern for the state of the planet, which was already being seen in the 90s. The key was very simple: to raise awareness among the little ones to guarantee a sustainable future. The panorama has evolved a lot since then … now we know that global warming is a reality, that the war against plastics has only just begun, that zero waste alternatives are gaining more and more followers and that sustainable tourism is not only a trend, but a real requirement in the sector. Water bottles, grocery bags, napkins … as it stands now, it is completely normal, day after day, to generate more waste than is necessary. Why not opt for reusable alternatives? In the market, there are models for aluminium bottles and other materials with fun designs, perfect for your children to use to stay hydrated and collaborate with the environment. Turn off the lights when they are not being used, turn off the tap while you brush your teeth, do not keep the fridge open for a long time … There are many gestures that can help save, not only energy, but also money in your bills. The best way to obtain quality and, at the same time, be respectful of the developing environment, is through the consumption of local and seasonal products. Without going any further, we can say that in our restaurant Donaire for example, we rely on Canarian products because they are the most efficient way to support the economy and the producers of the islands. Educate your children about the fruits and vegetables that are obtained locally in each season, let them learn to wait for the chestnuts in autumn or the cherries in the spring; and buy them without unnecessary plastic. Discover the great advantages that your food can offer your health. GF Hoteles has set itself the goal of eliminating all single-use plastics by the year 2020. Of course, the elimination of waste is a task in which everyone must work together, especially when there are so many alternatives available: bamboo straws, reusable coffee capsules, cloth bags, biodegradable nappies … the options are endless, and with the right information you will see how the zero-waste philosophy is possible. For its part, GF Hoteles has updated its Strategic Sustainability Plan for the next two years. 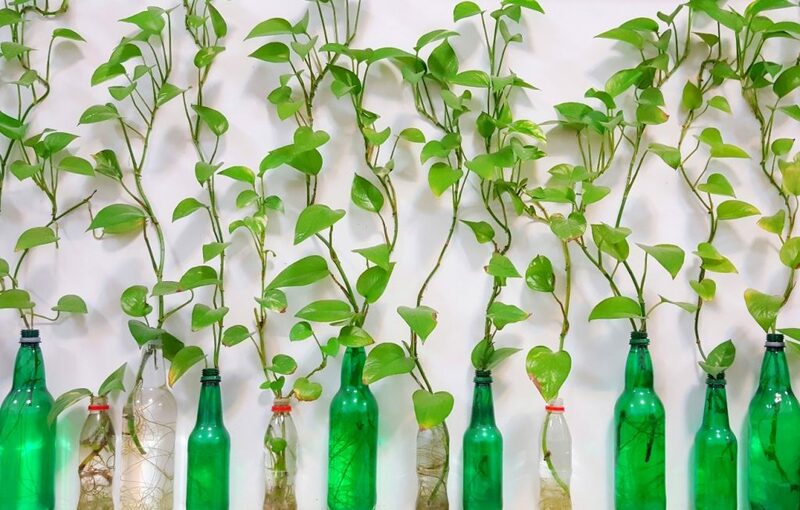 Among the objectives contemplated is the elimination of all single-use plastics and, to achieve this, the Fedola Group has launched its #GFSustainable campaign, to carry out joint actions in all its hotels. These include the gradual replacement of plastic bottles with aluminium, both for guests and employees. The natural landscapes that Tenerife offers are a true spectacle for the senses, which is why many of our guests are encouraged to experience them during their stay on the island. A forgotten plastic toy, the wrapper of a snack or a tin, can generate incalculable environmental damage. For this reason, it is important that you encourage children to check everything thoroughly before leaving the beach or any other natural space. Try to disturb as little as possible the natural environment so that we can all enjoy it. Do not use shampoos that can contaminate the water and respect the vegetation and fauna of the area. Sustainable tourism is possible, and it is in our hands to make it a reality.